I have over twenty years of teaching and research experience in the field of Extractive Metallurgy (a branch of Chemical Engineering) at Murdoch University and prior to that I had three years of processing plant experience as a Chemical Process Engineer in the Australian mining industry. I completed a PhD in Metallurgical Engineering (Hydrometallurgy) at Murdoch University in 2002, B.Sc. (Honours) in Hydrometallurgy in 1998 and B.Eng. in Extractive Metallurgy in 1997. I have a wide-ranging and deep understanding of the disciplines covered within Extractive Metallurgy, which I have developed through my research, professional practice and through the courses that I have taught. During my time in the industry, I conducted cutting-edge industrial research, leading several research projects some of which have then led to established commercial operations. Following my return to academia in 2004, I was initially appointed as a Postdoctoral Research Fellow and then a Senior Research Fellow working in Extractive Metallurgy. I am currently Associate Professor in Extractive Metallurgy and I serve as Academic Chair for the undergraduate majors BEng in Chemical and Metallurgical Engineering, and BSc in Mineral Science, and the postgraduate Diploma in Extractive Metallurgy. I am strongly involved in professional practice through research, development and innovation projects funded by government and industry. My duties involve organisation and management of the teaching in the majors for which I am responsible, teaching undergraduate and postgraduate students, supervision of staff and student research projects as well as community and industry engagement. I feel that the supervision of student research is my most important role as a member of the academy. I take pride in the success of the students I supervise and their satisfaction with the skills they learn, which, I believe, is the main long-term benefit from postgraduate education. Effective training in research empowers people to pursue further research and development opportunities and become active independent practitioners. 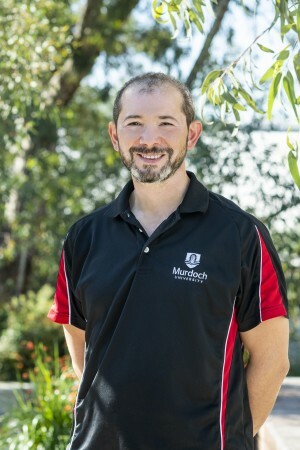 I started teaching in 1998 as a demonstrator while I was an Honours student at Murdoch University. As a Senior Research Fellow, I also contributed to the delivery of teaching materials in different units. In 2008, I took on a more intensive teaching role after being appointed a Lecturer in Extractive Metallurgy. I initially lectured four units (EXM131 Introduction to Extractive Metallurgy, PEC201 Thermodynamics, EXM358 Pyrometallurgy and EXM435 Metallurgical Process and Plant Design) but my teaching responsibilities increased with time and in 2009, I commenced teaching EXM357 Hydrometallurgy and EXM436 Research Project and Thesis. In 2010, a further unit (EXM302 Mineral Processing II) was added to my responsibilities. The two fourth year units which I teach cover advanced topics in Extractive Metallurgy and include the writing of a research project thesis. Although many project topics are from my own area of research expertise (hydrometallurgy), I have also developed sound supervisory competence in other areas, such as pyrometallurgy, mineral processing, process design, and high temperature thermodynamics. The aims and methods of teaching in the area of Extractive Metallurgy have evolved over the years, driven largely by industry needs. Recently this has resulted in a greater focus on metallurgical process and plant design and increased use of software programs for simulation and optimisation of metallurgical processes. In response, I have taken the lead in acquiring new software and setting up a computer laboratory for the fourth year units I teach, in which I have introduced the use of the new mathematical modelling software (SysCAD, METSIM, LIMN and HSC) for simulation, optimisation, operability assessment and thermodynamic modelling of metallurgical unit processes and flow sheets. My research interests lie in the area of electrochemical science and engineering, primarily the electrochemistry of the leaching and reduction processes used in the hydrometallurgical treatment of metals and minerals. I study the kinetics and thermodynamics of metallurgical processes and focus on the application of electrochemical methods and principles for the development of leaching, separation and reduction processes, such as the development of improved anodes for base metal electrowinning and environmentally friendly solutions to the problem of recycling of waste catalysts. Other areas of interest to me are the kinetics of ion exchange and solvent extraction processes and the design of metallurgical processes using mathematical modelling and simulation software. My approach to research is to combine my extensive experience in industry-based research and development with scientific creativity and leading edge knowledge of hydrometallurgy. 2017, The Vice Chancellor’s Excellence in Research Award for Outstanding Research Development by Murdoch University. This award targets mid-career researchers. It acknowledges exceptional research performance and a growing role in research leadership over the previous 5 to 10 years. The award winner receives a medal and a financial award to support their research endeavours. 2016, The Start Something in Minerals’ Prize by Murdoch University in association with Innovation Cluster and Atomic Sky. This award is part of the Start Something Commercialisation Awards program at Murdoch University and recognises researcher’s ability to demonstrate research commercialisation skills and strengthen research-industry engagement. The Start Something program aims to stimulate entrepreneurship among academics, postgraduates and early career researchers at the University. 2001, The G.B. O’Malley Medal by The Australasian Institute of Mining and Metallurgy. This is the Institute’s highest student award, awarded once every few years for an outstanding technical paper and oral presentation at an international conference. I have been invited to visit Kunming University as Visiting Professor in December, 2012, to give a seminar on the research developments in Extractive Metallurgy at Murdoch University. Kunming University is a premier institution in China conducting research into the development of novel nanomaterials, and is well recognised for its work in Metallurgical Engineering. In December 2011 I was invited by the Korea Institute of Geochemistry and Metallurgy (KIGAM) to give a seminar on my research in Hydrometallurgy and to meet their leading scientists. This Visiting Expert invitation presented a wonderful opportunity to expand collaboration and was also a great personal experience. In November 2011, I presented at the Parker Centre for Hydrometallurgy Science Day 2011, the study ‘Fundamental Study of the Impurity Rejection Process during the Pre- and Post-Leaching stages for Nickel Extraction’. The presentations were held at Curtin University, Bentley Campus, WA. In September 2010, I presented at the 2010 Parker Centre Hydrometallurgy Conference called Sustainable Hydrometallurgy, which was held in Brisbane, QLD. My seminar was titled ‘Managing the Passivation Layer on Lead Alloy Anodes in Copper Electrowinning’. In November the same year, I also chaired the Parker Centre for Hydrometallurgy Science Day 2010, which was held at Australian Minerals Research Centre, Waterford, WA. In November 2009, I chaired the Parker Centre for Hydrometallurgy Science Day 2009 called New Knowledge – Emerging Solutions, which was held at the Australian Minerals Research Centre, Waterford, WA and I gave a seminar on the topic ‘The Resin-in-leach recovery of Ni and Co from laterite ores and waste ore tailings’. Many of my broader professional activities have been associated with my Membership of The Australasian Institute of Mining and Metallurgy (AusIMM). I have helped to promote Extractive Metallurgy as a career through seminars and papers that I have presented at conferences and websites, such as The AusIMM Young Leaders’ Conference and the Minerals Council of Australia (MCA) MCA website. I have also participated in roundtable discussions with representatives from both the local industry and government. My professional outreach activities include the development of courses in Extractive Metallurgy for the Open University Australia and the development and delivery of short courses for groups of teachers and students visiting Murdoch University. As an example, I participate in Professional Development courses run by the Extractive Metallurgy programme for high school teachers in order to raise their knowledge and awareness of our profession, so that they can transfer a greater understanding of our role and activities to the wider community and encourage students to undertake studies in Extractive Metallurgy. I am also an Associate Member of The Minerals, Metals & Materials Society (TMS). I maintain close links with the metallurgical-related journals, such as Hydrometallurgy, and am often requested to act as a referee of manuscripts submitted for publication. I am a regular member of the review boards of the journals Mineral Processing & Extractive Metallurgy Review, Hydrometallurgy and Minerals and Metallurgical Processing. I have also been a reviewer and adjudicate of funding applications for the Natural Resources and Applied Sciences (NRAS) Endowment, based in British Columbia, Canada, and a technical expert consultant for the Department of Innovation, Industry, Science and Research of Australia. Process development and innovation generally start on a bench scale in a laboratory. Therefore, to succeed as applied scientists and engineers, it is essential that my students have a solid background in a laboratory research environment. In fact, one of the areas that I believe sets Extractive Metallurgy at Murdoch University apart from similar programmes offered by other universities, is the outstanding laboratory research experience we provide to postgraduate students. Another important part of the postgraduate research environment is the enthusiasm and motivation of the supervisor. The driving force in my career has been a strong passion for technology development and creative process improvement. I try to share this passion with my students and convey to them the joy of discovering something new, and I encourage them to feel ownership of their results. The benefits to the University and to myself as the supervisor are high quality research outputs. I currently supervise three PhD students and two Honours students, and I have one graduated PhD student and one graduated MPhil student. I strongly believe in encouraging student interest in research from early in their undergraduate studies. Ibrahim, K., Rahman, M., Zhao, X., Veder, J., Zhou, Z., Mohammadpour, E., Majeed, R., Nikoloski, A., Jiang, Z., (2018), Annealing effects on microstructural, optical, and mechanical properties of sputtered CrN thin film coatings: Experimental studies and finite element modeling,	Journal of Alloys and Compounds, 750, , pages 451 - 464. Ibrahim, K., Rahman, M., Taha, H., Mohammadpour, E., Zhou, Z., Yin, C., Nikoloski, A., Jiang, Z., (2018), Structural, morphological, and optical characterization of Mo, CrN and Mo:CrN sputtered coatings for potential solar selective applications,	Applied Surface Science, 440, , pages 1001 - 1010. Nikoloski, A., O'Malley, G., Bagas, S., (2017), The effect of silver on the acidic ferric sulfate leaching of primary copper sulfides under recycle solution conditions observed in heap leaching. Part 1: Kinetics and reaction mechanisms,	Hydrometallurgy, 173, , pages 258 - 270. Shaohua, J., Singh, P., Jinhui, P., Nikoloski, A., Chao, L., Shenghui, G., Das, R., Libo, Z., (2017), Recent developments in the application of microwave energy in process metallurgy at KUST,	Mineral Processing and Extractive Metallurgy Review, , , pages 1 - 10. Gilligan, R., Nikoloski, A., (2017), Alkaline leaching of brannerite. Part 1: Kinetics, reaction mechanisms and mineralogical transformations,	Hydrometallurgy, 169, , pages 399 - 410. Khoshdel Salakjani, N., Singh, P., Nikoloski, A., (2017), Mineralogical transformations of spodumene concentrate fromGreenbushes, Western Australia. Part 1: Conventional heating,	Minerals Engineering, 100, , pages 191 - 199. Gilligan, R., Deditius, A., Nikoloski, A., (2016), Leaching of brannerite in the ferric sulphate system. Part 2: Mineralogical transformations during leaching,	Hydrometallurgy, 159, , pages 95 - 106. Gilligan, R., Nikoloski, A., (2016), Leaching of brannerite in the ferric sulphate system. Part 3: The influence of reactive gangue minerals,	Hydrometallurgy, 164, , pages 343 - 354. Gilligan, R., Nikoloski, A., (2015), Leaching of brannerite in the ferric sulphate system - Part 1: Kinetics and reaction mechanisms,	Hydrometallurgy, 156, , pages 71 - 80. Nettleton, K., Nikoloski, A., Da Costa, M., (2015), The leaching of uranium from betafite,	Hydrometallurgy, 157, , pages 270 - 279. Gilligan, R., Nikoloski, A., (2015), The extraction of uranium from brannerite - A literature review,	Minerals Engineering, 71, , pages 34 - 48. Nikoloski, A., Ang, K., (2014), REVIEW OF THE APPLICATION OF ION EXCHANGE RESINS FOR THE RECOVERY OF PLATINUM-GROUP METALS FROM HYDROCHLORIC ACID SOLUTIONS,	Mineral Processing and Extractive Metallurgy Review, 35, 6, pages 369 - 389. D'Aloya, A., Nikoloski, A., (2014), The anodic dissolution of iron in ammoniacal-carbonate-thiosulfate-copper solutions with formation of Cu2S and dendritic copper,	Hydrometallurgy, , 144-145, pages 163 - 169. Djordjevic, S., Poinern, G., Brundavanam, R., Fawcett, D., Prokic, M., Nikoloski, A., (2014), Enhanced Deposition and Reflective Properties of Thin Aluminium Films by Substrate Vibration,	International Journal of Sciences, 3, 7, pages -. Parsonage, D., Singh, P., Nikoloski, A., (2014), Adverse Effects of Fluoride on Hydrometallurgical Operations,	Mineral Processing and Extractive Metallurgy Review, 35, 1, pages 44 - 65. D'Aloya de Pinilla, A., Nikoloski, A., (2013), An electrochemical investigation of the formation of CoSx and its effect on the anodic dissolution of iron in ammoniacal-carbonate solutions,	Hydrometallurgy, 131, 0, pages 99 - 106. Nikoloski, A., Barmi, M., (2013), Novel lead-cobalt composite anodes for copper electrowinning,	Hydrometallurgy, 137, , pages 45 - 52. Costine, A., Nikoloski, A., Da Costa, M., Chong, A., Hackl, R., (2013), Uranium extraction from a pure natural brannerite mineral by acidic ferric sulphate leaching,	Minerals Engineering, 53, , pages 84 - 90. Yin, C., Nikoloski, A., Wang, M., (2013), Microfluidic solvent extraction of platinum and palladium from a chloride leach solution using Alamine 336,	Minerals Engineering, 45, , pages 18 - 21. Lu, M., Nikoloski, A., Singh, P., Parsonage, D., Das, R., Zhang, L., Li, W., Peng, J., (2013), Microwave-assisted Preparation and Physical Characterisation of Iron Oxyhydroxides Adsorbents for Arsenic Removal from Aqueous Solutions,	Advanced Materials Research, 634-638, 0, pages 249 - 253. D'Aloya de Pinilla, A., Nikoloski, A., (2012), The passivation of iron in ammoniacal solutions containing copper (II) ions,	Hydrometallurgy, 111, 0, pages 58 - 64. Barmi, M., Nikoloski, A., (2012), Electrodeposition of lead-cobalt composite coatings electrocatalytic for oxygen evolution and the properties of composite coated anodes for copper electrowinning,	Hydrometallurgy, 129, 0, pages 59 - 66. Nikoloski, A., Nicol, M., (2010), Addition of Cobalt to Lead Anodes Used for Oxygen Evolution - A Literature Review,	Mineral Processing and Extractive Metallurgy Review, 31, 1, pages 30 - 57. Nikoloski, A., Nicol, M., (2010), The electrochemistry of the leaching reactions in the Caron process II. Cathodic processes,	Hydrometallurgy, 105, 1-2, pages 54 - 59. Nikoloski, A., Nicol, M., (2008), Effect of cobalt ions on the performance of lead anodes used for the electrowinning of copper - a literature review,	Mineral Processing and Extractive Metallurgy Review, 29, , pages 143 - 172. Gilligan, R., Nikoloski, A., (2017),THE EXTRACTION OF URANIUM FROM BRANNERITE,In: ALTA uranium conference. Gilligan, R., Nikoloski, A., (2016),Process Chemistry and Mineralogy of Brannerite Leaching,In: Hydrometallurgy Conference 2016. Sitando, O., Dai, X., Senanayake, G., Zhang, H., Nikoloski, A., Breuer, P., (2015),Gold dissolution in non-ammoniacal thiosulphate solutions: comparison of fundamentals and leaching studies,In: World Gold Conference 2015. Yin, C., Nikoloski, A., Wang, M., (2012),Microfluidic Solvent Extraction of Copper from Malachite-Chalcopyrite Mineral Leach Solution,In: Chemeca 2012. Littlejohn, P., Vaughan, J., Nikoloski, A., (2012),Elution strategies for the recovery of nickel and cobalt from laterite tails through scavenging resin-in-pulp,In: 2012 ALTA Nickel/Cobalt/Copper Conference. Nikoloski, A., Nicol, M., Stuart, A., (2010),Managing the Passivation Layer on Lead Alloy Anodes in Copper Electrowinning,In: Copper 2010. Senaputra, A., Senanayake, G., Nicol, M., Nikoloski, A., (2008),Leaching nickel and nickel sulfides in ammonia/ammonium carbonate solutions,In: Hydrometallurgy 2008 - 6th International Symposium - Honoring Robert Shoemaker (2008). Nikoloski, A., Nicol, M., (2006),The Electrochemistry of the Leaching Reactions in the Caron Process. I. Anodic Processes,In: 7th International Symposium on Electrochemistry in Mineral and Metal Processing (2006). Nicol, M., Nikoloski, A., Fittock, J., (2004),A fundamental study of the leaching reactions involved in the caron process,In: International Laterite Nickel Symposium (2004). Nikoloski, A., Nicol, M., Fittock, J., (2003),The Passivation of Iron during the Leaching of Pre-reduced Laterite Ores in Ammoniacal Solutions,In: 6th International Symposium on Electrochemistry in Mineral and Metal Processing (2003). Singh, P., Parsonage, D. and Nikoloski, A.N. (2014) ‘Preparation and characterisation of magnesium doped hydroxyapatite before and after fluoride adsorption.’ Under Review. Nikoloski, A.N. and Ang, K.-L. (2014) ‘Review of the application of ion exchange resins for the recovery of platinum-group metals from hydrochloric acid solutions.’Mineral Processing and Extractive Metallurgy Review, 35, pp. 369-389 (available on-line). Parsonage, D., Singh, P. and Nikoloski, A.N. (2014) ‘Adverse effects of fluoride on hydrometallurgical operations.’ Mineral Processing and Extractive Metallurgy Review, 35, pp. 44–65 (available on-line). D’Aloya, A. and Nikoloski, A.N. (2013) ‘The anodic dissolution of iron in ammoniacal-carbonate-thiosulfate-copper solutions with formation of Cu2S and dendritic copper.’ Hydrometallurgy, Under review. Costine, A., Nikoloski, A.N., Da Costa, M., Chong, K.F. and Hackl, R. (2013) ‘Uranium dissolution from a pure natural brannerite mineral by acidic ferric sulphate leaching.’ Minerals Engineering, 53, pp. 84-90. Lu, M., Nikoloski, A.N., Singh, P., Parsonage, D., Das, R.P., Zhang, L., Li, W., Peng, J. (2013) ‘Microwave-assisted preparation and physical characterisation of iron oxyhydroxides adsorbents for arsenic removal from aqueous solutions.’ Advanced Materials Research, 634-638 (1), pp. 249-253. Nikoloski, A.N. and Barmi, J.M. (2013) ‘Novel lead-cobalt composite coated anodes for copper electrowinning.’ Hydrometallurgy, 137, pp. 45–52. Yin, C.Y., Nikoloski, A.N., and Wang, M.W. (2013) ‘Microfluidic solvent extraction of platinum and palladium from a chloride leach solution using Alamine 336.’ Minerals Engineering, 45, pp. 18-21. D’Aloya, A. and Nikoloski, A.N. (2013) ‘An electrochemical investigation of the formation of amorphous CoSx and its effect on the anodic dissolution of iron in ammoniacal-carbonate solutions.’ Hydrometallurgy, 131–132, pp. 99–106. Barmi, J.M. and Nikoloski, A.N. (2012) ‘Electrodeposition of catalytically active lead-cobalt composite anodes and their properties.’ Hydrometallurgy, 129–130, pp. 59–66. D’Aloya, A. and Nikoloski, A.N. (2012) ‘The Passivation of iron in ammoniacal solutions containing copper (II) ions.’ Hydrometallurgy, 111–112, pp. 58–64. Nikoloski, A.N. and Nicol, M.J. (2010) ‘The Electrochemistry of the leaching reactions in the Caron Process. II. Cathodic processes.’ Hydrometallurgy, 105, pp. 54–59. Nikoloski, A.N. and Nicol, M.J. (2010) ‘The effect of cobalt on lead anodes used for copper electrowinning – a literature review.’ Mineral Processing & Extractive Metallurgy Review, 31, pp. 30–57. Nikoloski, A.N. and Nicol, M.J. (2008), ‘Effect of cobalt ions on the performance of lead anodes used for the electrowinning of copper – a literature review’, Mineral Processing and Extractive Metallurgy Review, 29, pp. 143–172. Nikoloski, A.N. and Barmi, J.M. (2013) ‘Dimensionally stable lead-cobalt oxide coated composite anodes.’ Australian patent application no. 2013901230 (Murdoch University), Publication Date: 15 April 2013. Nicol, J.M. and Nikoloski, A.N. (2011) ‘Recovery of Platinum Group Metals from Platinum Group Metal-Containing Materials.’ PCT Patent, World Intellectual Property Organization, International Publication Number: WO 2011/140593 Al, International Publication Date: 17 November 2011. Barmi, J.M. and Nikoloski, A.N. (2013) ‘Alternative low-cost composite coated anodes for base metal electrowinning.’ Proceedings of the 52nd annual Conference of Metallurgists (COM 2013), part of the Hydrometallurgy: Materials and Equipment Symposium edited proceedings, in Montreal, Canada, October 27-31, 2013, Accepted. Mengnan, L., Nikoloski, A.N., Singh, P., Parsonage, D., Das, R.P., Zhang, L., Li, W., and Peng, J. (2012) ‘Microwave preparation and physical characterisation of iron oxyhydroxides adsorbents for arsenic removal from aqueous solutions.’ Proceedings of the 2nd International Conference on Chemical, Material and Metallurgical Engineering (ICCMME 2012), in Kunming, China, 15-16 December, 2012. Yin, C.-Y., Nikoloski, A.N. and Wang, M.-W. (2012) ‘Microfluidic solvent extraction of copper from malachite-chalcopyrite mineral solution.’ Proceedings of the Chemeca 2012 Conference, in Wellington, New Zealand, 23–26 September 2012. Littlejohn, P., Vaughan, J. and Nikoloski, A.N., (2012) ‘Elution strategies for recovery of nickel and cobalt from laterite tails through scavenging resin-in-pulp.’ Proceedings of the ALTA 2012 Nickel/Cobalt/Copper Conference, Perth, Western Australia, 28-30 May, 2012, pp 178-190. Nikoloski, A.N., Nicol, M.J. and Stuart, A. (2010) ‘Managing the passivation layer on lead alloy anodes in copper electrowinning.’ Proceedings of the Copper 2010 Conference, Hamburg, Germany, 6-10 June, 2010, pp 1559-1568. Ilievski, R., Martinova, Z, Nikoloski, A.N. and Magdeski J. (2009) ‘Mathematical model for determination of consumed energy during the flat hot rollng of steel plates.’ Proceedings of the VI International Congress – Machinery, Technology and Materials, Sofia, Bulgaria, 18-20 February, 2009, PS II – 13, 4 p.
Senaputra, A., Senanayake, G., Nicol, M.J. and Nikoloski, A.N. (2008), ‘Leaching of nickel and nickel sulfides in ammonia/ammonium carbonate solutions’, in Proceedings of Hydrometallurgy 2008 – 6th International Symposium – Honoring Robert Shoemaker (17-20 August, 2008), Phoenix, Arizona, pp. 551-560. Nikoloski, A.N. and Nicol, M.J. (2006) ‘The Electrochemistry of the leaching reactions in the Caron Process. I. Anodic processes.’ Proceedings – Electrochemical Society, 2(3) (Electrochemistry in Mineral & Metal Processing VII), 197-207. Nicol, M.J., Nikoloski, A.N. and Fittock, J.E. (2004) ‘A fundamental study of the leaching reactions involved in the Caron process.’ International Laterite Nickel Symposium, Proceedings of a Symposium held during the TMS Annual Meeting, Charlotte, NC, United States, 14-18 March, 2004, Meeting Date 2004, 369-384. Nikoloski, A.N., Nicol, M.J. and Fittock, J.E. (2003) ‘The passivation of iron during the leaching of prereduced laterite ores in ammoniacal solutions.’ Proceedings – Electrochemical Society, 2003-18 (Electrochemistry in Mineral and Metal Processing VI), 205-218. Nikoloski, A. and Stockton, N. (2000) ‘Application of alternative lixiviants for secondary heap leaching of gold.’ Publications of the Australasian Institute of Min. and Met., 6/2000 (7th Mill Operators’ Conference, 2000), 281-286. Nikoloski, A., Yu, C.-H. (2012) ‘Recovery of Nickel and Cobalt from Laterite Ores and Tailings – Fundamentals of Impurity Rejection.’ (Project Report; Prepared for the Parker Centre as a Core Capability Research Project – Tranche II). Murdoch University, December, 313 p.
Maree, D., Nikoloski, A., Chong, K. and Hackl, R. (2011) ‘Extraction of brannerite from its ores – A Literature Review.’ (Project Report; Prepared for the Parker Centre as a Core Capability Research Project – Tranche III). Murdoch University, March, 42 p.
Nicol, M., Nikoloski, A., Zhang, S. and Kim, S.-K. (2009) ‘Gaseous Reduction of Copper.’ (Project Report; Prepared for the Parker Centre as a Core Capability Research Project – Tranche II). Murdoch University, December, 51 p.
Nikoloski, A. and Nicol, M.J. (2009) ‘The recovery of platinum group elements from ceramic monolith post-combustion catalytic converters,’ (Project report, Prepared for Wintermute Metals). Murdoch University, April. 132 p.
Nikoloski, A., Bessell, S., Fittock, J. and Nicol, M. (2008) ‘Electrochemical Monitoring of Aerators,’ (Project report; Prepared for BHP Billiton Yabulu Refinery). Murdoch University, June. 30 p.
Nikoloski, A., Nicol, M. and Rajasingam, R. (2008) ‘Anode Protection’, (Project Report; Prepared for BHP Billiton Newcastle Technology Centre). Murdoch University, February. 40 p.
Nikoloski, A., Nicol, M. and Rajasingam, R. (2007) ‘Performance of Pressed Alloy Anodes’, (Project Report; Prepared for BHP Billiton Newcastle Technology Centre). Murdoch University, December. 38 p.
Nikoloski, A., Nicol, M. and Lum, M. (2007) ‘Extraction of Cobalt and Nickel from Asbolane Ores’, (Project Report; Prepared for Barra Resources). Murdoch University, September, 50 p.
Nikoloski, A. (2006) ‘The Effect of Ultrasound on the Leaching of Lateritic Ore,’ (Project report; Prepared for Prosonix Limited,UK). Murdoch University, November. 7 p.
Nikoloski, A., Nicol, M. and Fittock, J. (2006) ‘Electrochemical Studies on the Leaching of Reduced Ore,’ (Project report; Prepared for BHP Billiton Yabulu Refinery). Murdoch University, July. 46 p.
Nikoloski, A., Nicol, M.J. and Taylor, A. (2006) ‘The Development of Alternative Anodes Based on Cobalt for the Electrowinning of Copper,’ (Project Report; Prepared for BHP BillitonNewcastle Technology Centre). MurdochUniversity, September. 64 p.
Nikoloski, A. and Mendez, R. (2005) ‘Alternative MHP Leach Reductants,’ (Project report; Prepared for BHP Billiton Yabulu Refinery). MurdochUniversity, September. 54 p.
Nikoloski, A., Nicol, M. and Taylor, A. (2005) ‘Reductive Leaching of MHP,’ (Project report; Prepared for BHP Billiton Yabulu Refinery). MurdochUniversity, January. 115 p.
Nikoloski, A. and Zhang, H. (2005) ‘Recovery of Gold and Silver from Chalcopyrite Pressure Leach Residue,’ (Project Report; Prepared for Anglo American Research Laboratories). Murdoch University, November, 105 p.
Thompson, D. and Nikoloski, A. (2005) ‘The Effect of Ultrasound on the Dissolution of Iron in Ammoniacal Carbonate Solution,’ (Project summary; Parker Centre Summer Student Program). Murdoch University, March. 6 p.
Nikoloski, A. and Nicol, M.J. (2004) ‘Direct Recovery of Gold During Pressure Leaching of Refractory Gold Concentrates,’ (Project Report; Prepared for the Parker Centre as a Core Capability Project). Murdoch University, April, 50 p.
Nikoloski, A. (2001) ‘Pressure Acid Leaching of Spent Nickel Catalyst,’ (Project Report; Prepared for Murin Murin Joint Venture). Murdoch University, June, 9 p.
Nikoloski, A. (2001) ‘Beneficiation of Andalusite,’ (Project Report; Prepared for Belminco). Murdoch University, September, 15 pages. Nikoloski, A. and Nicol, M.J. (2001) ‘QNI Plant Visit Report,’ Yabulu visit report (Apr. 30 – May 28, 2001); Prepared for QNR. Murdoch University, October. 68 p.
Nikoloski, A. (2000) ‘QNI Plant Visit Report,’ Yabulu visit report (Nov. 12–18, 2000); Prepared for QNR. Murdoch University, December, 19 p.